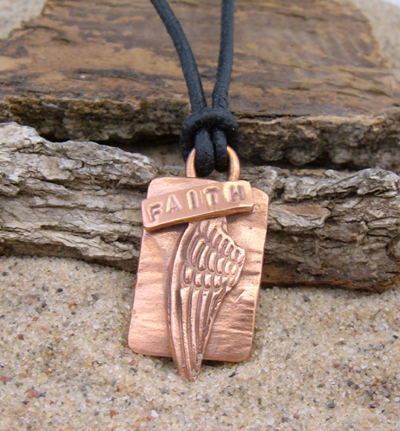 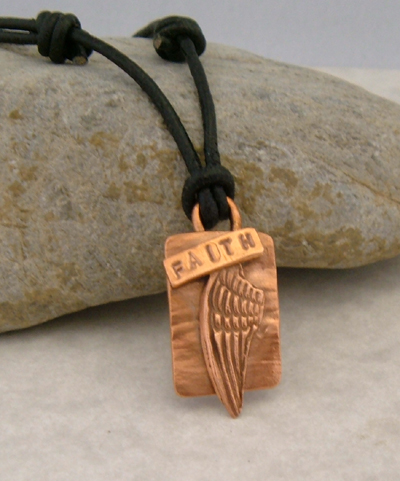 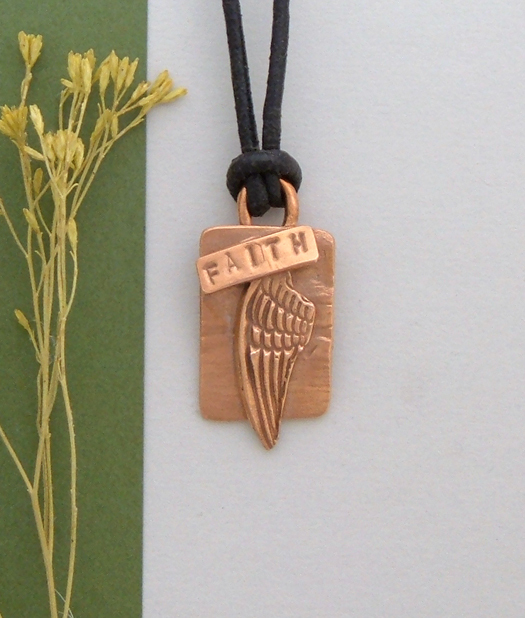 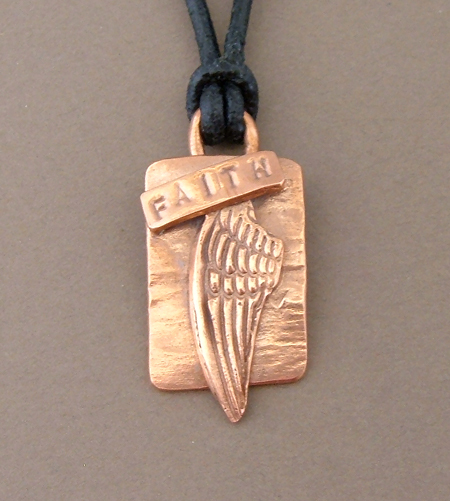 Our Spiritual Jewelry Pendant, Faith. 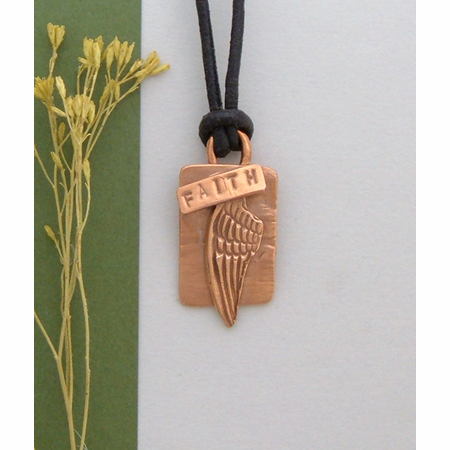 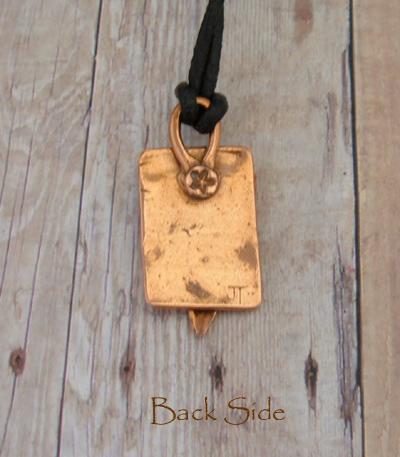 Made of pure copper and strung on a black leather cord for a casual feel. 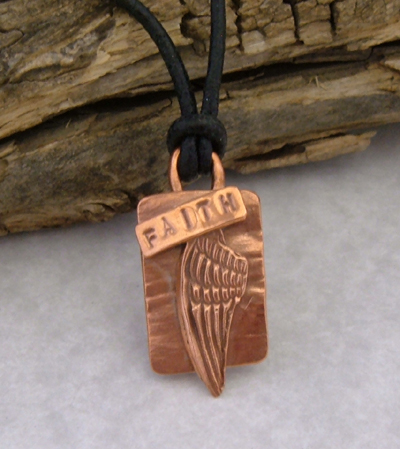 The natural copper color is rich and rustic for major appeal. 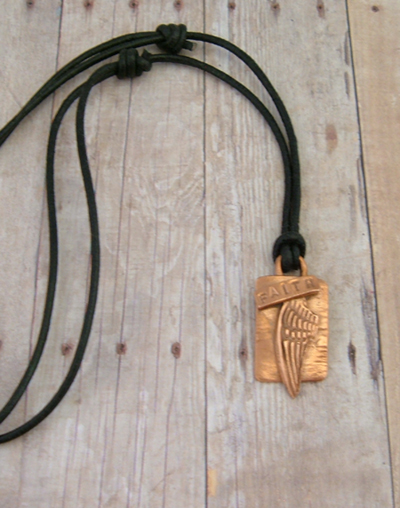 Black Greek Leather cord adjustable to 28"